Figure 1. Participation in weight training over time (1990-2006). Data are the age-adjusted percentage of men engaged in weight training and mean minutes per week of weight training in men engaged in weight training across study year. Figure 2. Dose-response relationship between weight training and risk of type 2 diabetes mellitus. Dotted lines represent 95% CIs for the trend obtained from restricted cubic spline regression (4 knots). The model included the following covariates: age (months), aerobic exercise (0, 1-59, 60-149, or ≥150 minutes per week), other physical activity of at least moderate intensity (quintiles), television viewing (quintiles), smoking (never, past, or current with cigarette use of 1-14, 15-24, or ≥25 per day), alcohol consumption (0, 1-5, 6-10, 11-15, or >15 g/d), coffee intake (0, <1, 1-3, >3-5, >5 cups per day), race (white vs nonwhite), family history of diabetes, intake of total energy, trans fat, polyunsaturated fat to saturated fat ratio, cereal fiber, whole grain, and glycemic load (all dietary factors in quintiles). The analysis was truncated to men reporting no more than 420 minutes per week. P = .59 for the nonlinear relationship. Figure 3. Joint association of weight training and aerobic exercise with the risk of type 2 diabetes mellitus. Data are estimates of relative risk with 95% CIs (vertical line) from multivariable Cox proportional hazards regression models adjusted for age (months), other physical activity of at least moderate intensity (quintiles), television viewing (quintiles), smoking (never, past, or current with cigarette use of 1-14, 15-24, or ≥25 per day), alcohol consumption (0, 1-5, 6-10, 11-15, or >15 g/d), coffee intake (0, <1, 1-3, >3-5, or >5 cups per day), race (white vs nonwhite), family history of diabetes, intake of total energy, trans fat, polyunsaturated fat to saturated fat ratio, cereal fiber, whole grain, and glycemic load (all dietary factors in quintiles). Adherence to the recommendations on aerobic exercise is at least 150 minutes per week. Grøntved A, Rimm EB, Willett WC, Andersen LB, Hu FB. A prospective study of weight training and risk of type 2 diabetes mellitus in men. Arch Intern Med. Published online August 6, 2012. doi: 10.1001/archinternmed.2012.3138. eFigure. Dose-reponse relationship between aerobic exercise and risk of type 2 diabetes mellitus. Dotted lines indicate the 95% CI for the trend obtained from restriced cubic spline regression (4 knots). The model included the following covariates: age (months), weight training (0, 1-59, 60- 149, or =150 minutes per week), other physical activity of at least moderate intensity (quintiles), television viewing (quintiles), smoking (never, past, or current with cigarette use of 1-14, 15-24, or =25 per day), alcohol consumption (0, 1-5, 6-10, 11-15, or >15 g/d), coffee intake (0, <1, 1-3, >3-5, or >5 cups per day), race (white or nonwhite), family history of diabetes, intake of total energy, trans fat, polyunsaturated fat to saturated fat ratio, cereal fiber, whole grain, and glycemic load (all dietary factors in quintiles) and truncated to men reporting no more than 15 hours per week. P<.001 for a nonlinear relationship. Sluik and coauthors conducted a prospective cohort study and meta-analysis of existing studies to investigate the association between physical activity and mortality in individuals with diabetes mellitus. See the editorial by Katz and original investigation by Hu. Background The role of weight training in the primary prevention of type 2 diabetes mellitus (T2DM) is largely unknown. Methods To examine the association of weight training with risk of T2DM in US men and to assess the influence of combining weight training and aerobic exercise, we performed a prospective cohort study of 32 002 men from the Health Professionals Follow-up Study observed from 1990 to 2008. Weekly time spent on weight training and aerobic exercise (including brisk walking, jogging, running, bicycling, swimming, tennis, squash, and calisthenics/rowing) was obtained from questionnaires at baseline and biennially during follow-up. Results During 508 332 person-years of follow-up (18 years), we documented 2278 new cases of T2DM. In multivariable-adjusted models, we observed a dose-response relationship between an increasing amount of time spent on weight training or aerobic exercise and lower risk of T2DM (P < .001 for trend). Engaging in weight training or aerobic exercise for at least 150 minutes per week was independently associated with a lower risk of T2DM of 34% (95% CI, 7%-54%) and 52% (95% CI, 45%-58%), respectively. Men who engaged in aerobic exercise and weight training for at least 150 minutes per week had the greatest reduction in T2DM risk (59%; 95% CI, 39%-73%). Regular physical activity (PA) is a cornerstone in the prevention and management of type 2 diabetes mellitus (T2DM). 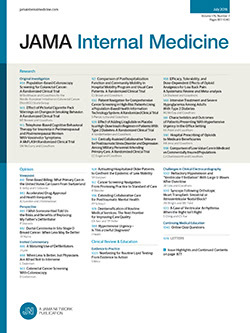 Achieving a daily amount of moderate or vigorous PA of at least 30 minutes per day is associated with a substantial reduction in the risk of T2DM.1-4 This is broadly consistent with the current recommendations regarding PA in adults.5 More recently, evidence from randomized controlled trials6 has shown that resistance training can improve glycemic control in patients with T2DM, even in the absence of aerobic training. This has led to the recommendation for resistance training 3 times per week in individuals with T2DM.7,8 However, whereas the evidence that regular aerobic exercise can prevent T2DM is compelling, to our knowledge, no studies have examined the role of weight training in the primary prevention of T2DM. In this study, we examined the association of weight training with the risk of T2DM in men observed biennially for 18 years in the Health Professionals Follow-up Study (HPFS). In particular, we examined whether the influence of weight training is independent of aerobic exercise and assessed the combined influence of weight training and aerobic exercise on T2DM risk. The HPFS is an ongoing prospective cohort study of 51 529 male health professionals aged 40 to 75 years at baseline in 1986. Every 2 years, the cohort participants are sent a questionnaire about diseases and personal and lifestyle characteristics, such as height, weight, smoking status, dietary intake (food frequency questionnaire), and PA. Ninety-four percent of the cohort has completed at least 1 follow-up questionnaire. For this analysis, we excluded men who reported a history of diabetes, cancer, myocardial infarction, angina, coronary artery bypass graft, other heart conditions, stroke, or pulmonary embolism on the baseline questionnaire (1986), in 1988, and in 1990, leaving a study population of 32 002 participants with information on exposures and covariates. This study was approved by the Harvard School of Public Health institutional review board. From 1990 and onward, participants reported their average weekly amount of weight training, other PA, and television viewing biennially. Other PAs included walking, jogging, running, bicycling, swimming, tennis, squash, calisthenics/rowing, and heavy outdoor work. There were 13 response categories ranging from none to greater than 40 hours per week for weight training and other PAs. Participants were also asked about the daily number of flights of stairs climbed and usual walking pace. Of these other PAs, brisk walking, jogging, running, bicycling, swimming, tennis, squash, and calisthenics/rowing were considered aerobic exercises of at least moderate intensity (≥3 metabolic equivalent tasks). We used these activities because they are often performed repetitively and produce dynamic contractions of large muscle groups for an extended period.5 We calculated the total time spent on aerobic exercise of at least moderate intensity (≥3 metabolic equivalent tasks) and grouped participants into 4 categories: 0, 1 to 59, 60 to 149, and at least 150 minutes per week. We grouped participants in the same categories for weight training. We also constructed a variable representing unstructured PA of at least moderate intensity consisting of metabolic equivalent task–hours per week of heavy outdoor work and stair climbing, as previously described.9,10 The reproducibility and validity of the PA questionnaire have been assessed in a subsample of the HPFS participants. The Pearson correlation between PA of vigorous intensity from diaries for 4 weeks across different seasons and from the questionnaire was 0.58.11 For weight training, the correlation was 0.79.11 Reproducibility from 2 questionnaires was 0.52 for vigorous PAs and 0.50 for weight training. Another study12 reported a correlation of 0.54 between PA score obtained from a similar questionnaire and maximum oxygen uptake. Person-time at risk was calculated from the return of the 1990 questionnaire (until January 31, 2008), death, or loss to follow-up, whichever occurred first. Relative risks (RRs) of T2DM by categories of weight training and aerobic exercise were estimated using time-dependent Cox proportional hazards regression. To control for calendar time and age, the analyses were stratified jointly by age (in months) at the start of follow-up and the year of questionnaire return. We calculated cumulative averages of weight training and aerobic PA from baseline (1990) to censoring time to minimize measurement error and to characterize long-term exposure status. In multivariable analysis, we additionally adjusted for aerobic exercise, other PA, television viewing, alcohol intake, coffee intake, smoking, ethnicity, family history of diabetes, and the dietary variables total calorie intake, saturated fat to polyunsaturated fat ratio, trans fat, cereal fiber, whole grains, and glycemic load. Tests for trend were performed by assigning the median value of each category of the exposure and treating this variable as continuous. To examine the combined association of weight training and aerobic exercise, we constructed a joint variable of weight training (4 categories) and aerobic exercise (2 categories representing adherence to current recommendations) and associated that with T2DM risk. A test for multiplicative interaction was performed using the likelihood ratio test by comparing models with main effects and interaction terms and models containing only main effects. We did not see indications that the proportional hazard assumption was violated based on the interaction test between follow-up time and weight training. We also examined the nature of the possible dose-response relationship between weight training and T2DM by using restricted cubic spline regression with 4 knots.16 Deviation from linearity was tested using the likelihood ratio test by comparing models with cubic spline terms and models containing only the linear term. We performed several sensitivity analyses to assess the robustness of the results. First, we used the simple update and the baseline information, respectively, on weight training as an alternative to the cumulative average. Second, we performed an analysis using a 4-year lag in exposure classification to assess the possibility of reverse causality. Third, we included confounding variables assessed on the continuous scale in this form in the models to address the possibility of residual confounding. Fourth, we repeated the analysis with death from all causes treated as a competing risk according to the method of Fine and Gray.17 All the analyses were conducted using a commercially available software package (SAS, version 9.2; SAS Institute, Inc). During 508 332 person-years of follow-up (18 years), we documented 2278 new cases of T2DM. Table 1 provides the baseline characteristics of the study population by level of weight training per week. Fourteen percent of men reported weight training at baseline. Whereas the age-adjusted percentage of men who engaged in weight training increased with time to 29% in 2006, the average time spent weight training in these individuals seemed stable over time (Figure 1). Men who reported weight training at least 150 minutes per week at baseline performed more aerobic exercise, viewed less television, drank less alcohol, were less likely to smoke, and had a healthier dietary intake profile (except for glycemic load) compared with men reporting no weight training. Table 2 examines the association of weight training and aerobic exercise with the risk of T2DM. In multivariable-adjusted analysis including aerobic exercise, men performing weight training 1 to 59, 60 to 149, and at least 150 minutes per week had RRs of 0.88, 0.75, and 0.66 for lower risk of T2DM (P < .001 for trend), respectively, compared with men reporting no weight training. The RRs of T2DM for men performing 1 to 59, 60 to 149, and at least 150 minutes per week of aerobic exercise compared with men reporting no aerobic exercise were 0.93, 0.69, and 0.48 respectively (P < .001 for trend), in multivariable-adjusted analysis. When using the baseline information only or the simple updated information on weight training (instead of the cumulatively updated information), results modestly attenuated (baseline: multivariable-adjusted RR = 0.67; 95% CI, 0.51-0.88; and simple updated: multivariable-adjusted RR = 0.75; 95% CI, 0.60-0.94 for the highest categories of weight training). Using a 4-year lag in exposure classification strengthened the association (multivariable-adjusted RR = 0.50; 95% CI, 0.33-0.76 for the highest category of weight training). To assess the possibility of residual confounding, we included covariates as continuous variables where possible, but this did not materially change the results. To further address the possibility that the association of weight training with risk of T2DM was due to confounding by aerobic exercise, we restricted the analysis to men who reported no aerobic exercise. This analysis showed that any weight training was associated with 48% (95% CI, 1%-72%) lower risk compared with no weight training in multivariable-adjusted analysis. In a secondary analysis, we also analyzed whether weight training was associated with mortality from cardiovascular disease (n = 1901 deaths) and all causes (n = 6251 deaths). The age-adjusted RRs across categories of weight training were 0.76, 0.79, and 0.78 (P = .009 for trend) for cardiovascular disease mortality and 0.75, 0.82, and 0.89 (P = .002 for trend) for all-cause mortality. After multivariable adjustment including aerobic exercise, the corresponding RRs were 0.90, 1.00, and 0.98 (P = .82 for trend) for cardiovascular disease mortality and 0.88, 1.04, and 1.11 (P = .38 for trend) for all-cause mortality. Treating death from all causes as a competing risk gave results similar to those of the standard Cox proportional hazards regression model in the analysis with T2DM as outcome. Adjusting for body mass index moderately attenuated the associations of weight training (multivariable-adjusted RR = 0.71; 95% CI, 0.49-1.00 for the highest category) and aerobic exercise (multivariable-adjusted RR = 0.61; 95% CI, 0.53-0.70 for the highest category) with T2DM risk. A subsample of the participants also had information about waist circumference in 1987 and 1996 (413 890 person-years and 1850 cases). Using this information to assess mediation by adiposity attenuated the association of weight training and aerobic exercise to a larger extent (weight training RR = 0.76; 95% CI, 0.51-1.14; and aerobic exercise RR = 0.62; 95% CI, 0.53-0.73 for the highest categories), although the trend across categories was still present for both exercise types (P < .05 for trend). Results of the multivariable-adjusted restricted cubic spline regression showed that the risk of T2DM decreased linearly with increasing time spent weight training (P = .59 for the nonlinear response) (Figure 2). For each 60 minutes of weight training per week, the risk of T2DM decreased by 13% (95% CI, 6%-19%; P < .001). For aerobic exercise, the relationship clearly seemed nonlinear, with the strongest association at the lower level of aerobic exercise (P < .001 for the nonlinear response) (eFigure). We then examined the association of weight training and aerobic exercise stratified by age (<65 vs ≥65 years), body mass index (<30 vs ≥30), family history of T2DM (yes vs no), and dietary index score (below vs above the median) (Table 3 and eTable). The association of weight training with T2DM was stronger in men younger than 65 years (P < .001 for multiplicative interaction). There was also evidence that the association was stronger in men with no family history of T2DM (P = .04 for multiplicative interaction). This was less apparent for aerobic exercise, where associations were fairly similar across these strata (eTable). Finally, we examined the joint association of weight training and aerobic exercise with the risk of T2DM (Figure 3). Men who adhered to the current recommendations on aerobic exercise (≥150 minutes per week) and engaged in weight training of at least 150 minutes per week had the greatest reduction in T2DM risk (RR = 0.41; 95% CI, 0.27-0.61; P = .26 for multiplicative interaction). In this large prospective cohort study with biannual follow-up for 18 years, men who engaged in weight training had a reduced risk of T2DM. The association was independent of aerobic exercise, and even a modest amount of time engaged in weight training seemed to be beneficial. The risk reduction associated with weight training was comparable in magnitude with that of aerobic exercise, with risk reductions of approximately 35% and 50%, respectively, in men performing at least 150 minutes per week of either weight training or aerobic exercise. These results support that weight training serves as an important alternative for individuals who have difficulty adhering to aerobic exercise, but the combination of weight training with aerobic exercise conferred an even greater benefit. These findings are in agreement with those from a recent meta-analysis6 of randomized controlled trials showing that resistance training can improve glycemic control in individuals with T2DM. However, no previous studies, to our knowledge, have examined the association of weight training with the risk of T2DM. A variety of cross-sectional studies18-21 have shown that weight training, muscle strength, or muscle mass is associated with greater insulin sensitivity or prediabetes. In addition, 2 prospective cohort studies22,23 have reported that greater muscle strength was associated with a lower risk of incident metabolic syndrome, although association was attenuated with adjustment for aerobic fitness in both studies. Finally, in a study24 from the HPFS, we reported an inverse association between weight training and risk of coronary heart disease independent of other PAs. Further studies are needed to examine the associations between weight training and other outcomes, including total and cause-specific mortality. The 2 largest trials25,26 of resistance training in individuals with T2DM showed that the combination of aerobic exercise and resistance training conferred further benefit for glycemic control in individuals with T2DM than did either type of exercise alone. We observed that combining aerobic exercise and weight training was associated with the largest reduction in the risk of T2DM. Although we observed that the time spent engaged in weight training provided a fairly comparable reduction in risk compared with the time spent in aerobic exercise, it is unclear whether the total energy expenditure plays the same role for the 2 types of exercise. Because the anaerobic energy expenditure contribution during weight training can be substantial, the energy requirements for weight training may be grossly underestimated compared with that of aerobic exercise using metabolic equivalent task values. Furthermore, we did not obtain specific information about the type and intensity of weight training. Thus, it is uncertain whether the altered daily total energy expenditure from engaging in aerobic exercise is comparable with that from weight training in this study. We did not observe a strong attenuation of the association with weight training after additional adjustment for body mass index. This may be attributable to weight training being able to increase lean mass and reduce fat mass without a major change in body weight, as previously indicated in trials in individuals with T2DM.25,26 However, using waist circumference indicated that part of the beneficial effect of weight training was mediated by abdominal adiposity. In a previous analysis,35 weight training was associated with a smaller increase in waist circumference over time in men. We found that the association of weight training with T2DM risk was attenuated in men 65 years and older and in men with a family history of T2DM. The attenuation of association in these subgroups may be attributed to power. An alternative explanation could be that the intensity of weight training is decreased at older ages. However, we do not have data to test this hypothesis. The possible weakened relationship between weight training and T2DM risk in men with a positive family history deserves more attention in future studies. The strengths of this study include the large sample size, the long follow-up, and the biannual assessment of exposures and most confounders, including important dietary factors. We also showed that associations were robust to a variety of sensitivity analyses, including an analysis using a 4-year lag in exposure classification. Limitations include that the study comprised only men who were working health professionals and mostly of white race. The findings may, therefore, not be generalizable to women and other ethnic or racial groups of men. Furthermore, we did not explore the importance of type and intensity of weight training as we obtained information only on weekly nonspecific weight training. Finally, there is a possibility of residual and unknown confounding. Because we observed risk reduction with any weight training in individuals reporting no aerobic exercise, it is unlikely that the association of weight training can be explained by residual confounding by aerobic exercise. In conclusion, this prospective cohort study showed that weight training was associated with a reduced risk of T2DM in a dose-response manner independent of aerobic exercise level. The magnitude of risk reduction associated with weight training was close to that with aerobic exercise. These results support that weight training is a valuable alternative for individuals who have difficulty adhering to aerobic exercise, and adding weight training to aerobic exercise seems to give further protection from T2DM. Further research should examine the effect of duration, type, and intensity of weight training on T2DM risk in greater detail. Accepted for Publication: May 13, 2012. Author Contributions: Mr Grøntved and Dr Hu had full access to all the data in the study and take responsibility for the integrity of the data and the accuracy of the data analysis. Study concept and design: Grøntved and Hu. Acquisition of data: Rimm, Willett, and Hu. Analysis and interpretation of data: Grøntved, Willett, Andersen, and Hu. Drafting of manuscript: Grøntved. Critical revision of manuscript for important intellectual content: Grøntved, Rimm, Willett, Andersen, and Hu. Statistical analysis: Grøntved and Willett. Obtained funding: Hu. Administrative, technical, or material support: Hu. Study supervision: Andersen and Hu. Funding/Support: The study is supported by grants DK58845 (Dr Hu) and CA55075 (Dr Willett) from the National Institutes of Health. Role of the Sponsors: The sponsor was not involved in the design and conduct of the study; collection, management, analysis, and interpretation of the data; and preparation, review, or approval of the manuscript.